Some good news this week, my latest article has been published in HackSpace #12. 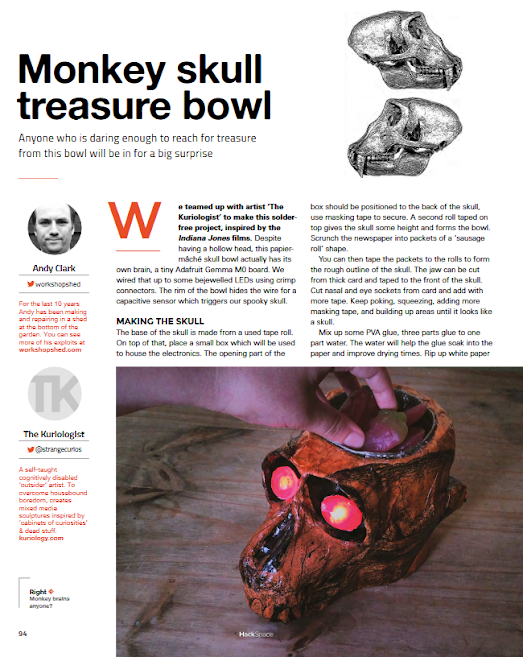 I teamed up with The Kuriologist to make an interactive candy bowl in the style of a Monkey Skull. 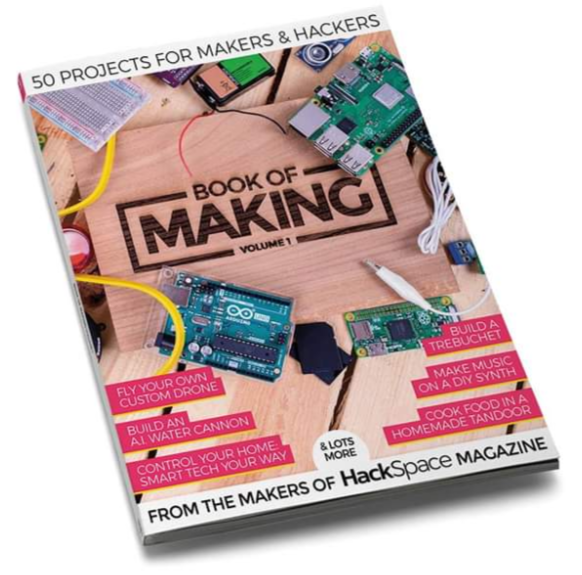 Also, 4 of my projects made it into “Book of Making” volume 1. This weekend I’ve been working on a couple of projects, one in wood using a router and one in brass. Whilst checking I had everything for the router, I found I was missing a couple of key components. The rods that hold the fence in place were not in the box with everything else and I could not find them anywhere else in the workshop. So I concluded I was going to have to make some replacements. Looking in my metal drawer for some steel rod, I stumbled upon a display stand I’d got from the IKEA scrap section for 30p a few years back. They were the perfect size and I found some suitable screws to attach them to the fence. For my other project I was working with brass. I needed to tap an M5 hole in the end of the bar. Doing this with a hand tapping wrench was not working very well. 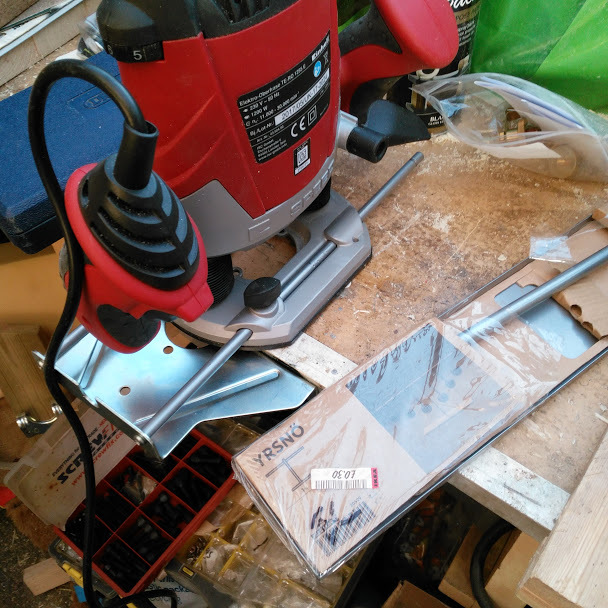 So I had the idea of putting the tap into the pillar drill and applying pressure whilst turning the chuck by hand. That worked very well and after a few squeaks, I had the job done. I can see why people use tapping fixtures etc. But it also puts me in the mind to get the right sized drill bits for tapping above 4mm.